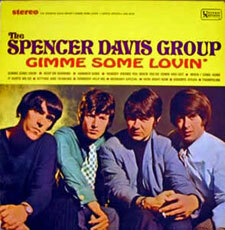 I’ve no idea who is actually in the Spencer Davis Group right now (well, Mr D is in and Stevie Winwood isn’t – that’s for sure), but if you want to catch them on a rare UK date, you can see the band at London’s 100 Club on Saturday 3rd February 2007. Doors open at 7.30pm, with (unnamed) support playing from 8:30pm and the SDG taking ther stage from 10pm. Tickets certainly aren’t cheap – £19.50 in advance. If you can stomach that, you can buy them online now.